There are a few reasons I would want, if possible, to join Marty McFly in going back the future. Some big and some small. One of the smallish yet still important would be my wedding. Well the decorations to be specific. We had a totally simple and beautiful wedding in my grandmas backyard in Newport Beach, CA overlooking the ocean. We had all the flowers we could afford and a lot of tule, which is the cheepest way to wedding up a place. One of the things I would change is my bouquet. While mine was amazing, full of flowers of all types of colors and textures, It has since faded and fallen apart. 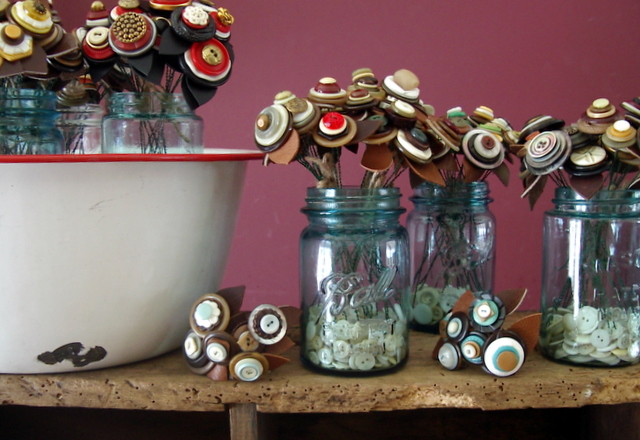 I would order a beautiful button bouquet from Lil Fish Studios. Most of my friends are already married and on their way into parenthood but to anyone that I come across who is going to tie the knot will get this suggestion. Lil Fish Studio is the work of Lisa Jordan. I live in the woods surrounded by nature, which is often reflected in my craftwork. 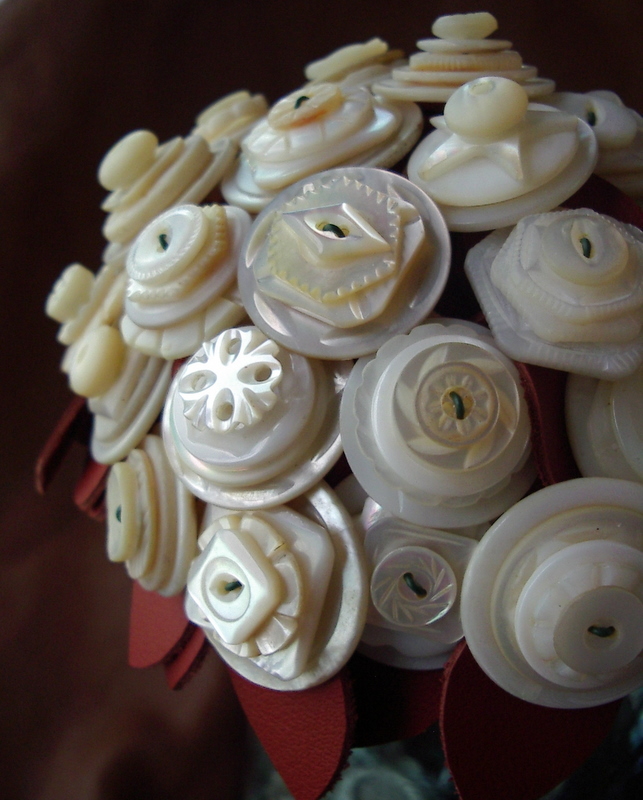 I work mostly with recycled or repurposed materials and enjoy giving a creative second life to discarded materials. You’ll also find me painting on occasion and I am currently working on a series of textural landscapes.